This is a nice relaxed location to meet new people and try new things in a friendly and relaxed environment. This is a nice relaxed location to meet new people and try new things in a friendly and relaxed environment. Be the first to see the latest movies with a warm friendly welcome from like-minded-people. Here at Social Circle we make it our job to expose you to the latest and best films for free, connecting you to the latest tends and putting you were you want to be. 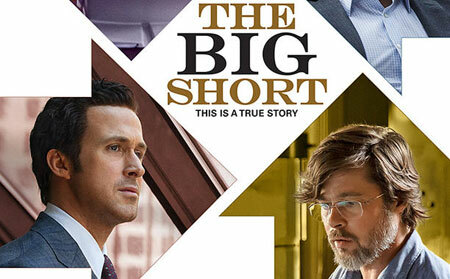 The Big Short watch preview here. An A-list cast star in a dark true-life satire about four outsiders who profit from the financial crash. In 2005, eccentric yet brilliant hedge fund manager Michael Burry (Christian Bale) spots signs of instability in the US housing market and works out how to make a fortune when the bubble bursts. This attracts the attention of amoral banker Jared Vennett (Ryan Gosling), who joins forces with self-loathing money manager Mark Baum (Steve Carell) to make a killing. Elsewhere, two rookie investors lure retired trader Ben Rickert (Brad Pitt) back into the game to guide them to untold riches. Adapted from Michael Lewis's non-fiction bestseller The Big Short: Inside the Doomsday Machine, Anchorman director Adam McKay's scabrous black comedy reveals the astonishing true story of the cynical analysts who betted against the American economy. Brilliantly played and slickly edited, it tells a complex, potentially rather dry story in a hugely entertaining way. Thanks your votes have been counted and BIG SHORT wins.